Rod Opland provides Construction Management support to the Los Angeles Department of Water and Power (LADWP), on projects including the Barren Ridge Renewable Transmission Project, a 61-mile double and triple circuit 230kV transmission line. This project is an integral element of LADWP’s long term renewable portfolio goal to bring renewable energy from the Mojave Desert region to the City of Los Angeles. In this role, Mr. Opland is responsible for the day-to-day construction activities and contract compliance. 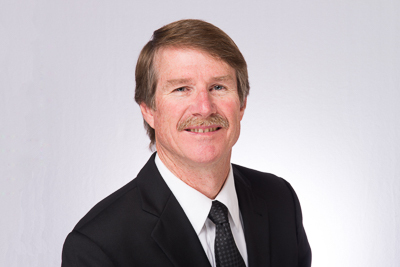 Mr. Opland has over 34 years of construction and engineering experience in the electrical utility industry, with experience including distribution substations, overhead transmission, and renewable energy generation facilities. As a former LADWP Associate Civil Engineer, he provided project/construction management duties, specialized in the design and construction of high voltage transmission lines, performed factory audits on domestic and foreign fabrication facilities, oversaw emergency restoration of downed transmission lines, and participated in the EIS/EIR permitting process. Mr. Opland received a Bachelor of Science in Civil Engineering from the University of Utah, is a licensed California Civil Engineer and a member of the American Society of Civil Engineers.